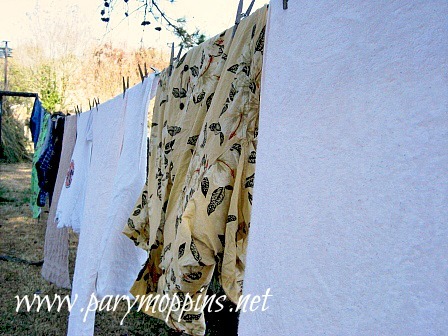 Now that spring is in the air we can start hanging our clothes out again. Let's think about the benefits of hanging out laundry shall we? 1. Get your daily dose of Vitamin D.
2. Works out your arms for free. 4. Your clothes last longer. 5. Your clothes smell good. 6. You get some fresh air and some think time to yourself. And while you're outside, go look and see what's blooming in your yard. This is part of Works for Me.